A 14 km full day adventure to discover the delightful La Leona River and take a hike through Los Hornos Mount. 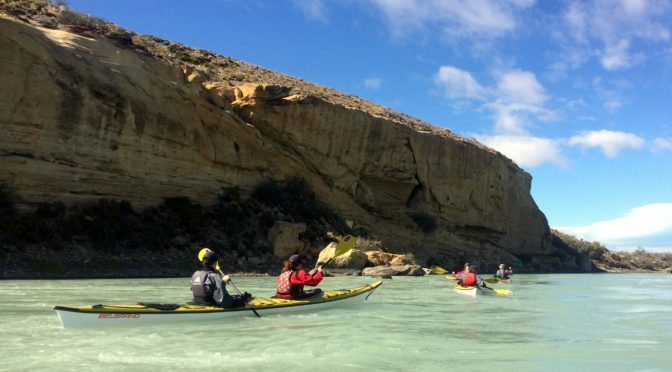 Explore a glacial river surrounded by the Patagonian steppe and learn about geology! In the Santa Cruz province it is said that Río La Leona is one of the most beautiful rivers in the Patagonian steppe. With a 70 km flow of turquoise waters, this glacial river is born at the Viedma Lake and discharges at the Argentino Lake. An interesting fact: its name was given due to a female puma attack (colloquially called “leona”, which means lioness) that suffered Francisco Pascasio Moreno, the famous Perito Moreno, on an expedition towards the Santa Cruz River in the summer of 1877. Surrounded by the most arid steppe, with no trees and framed by a wide tiered valley, La Leona provides the scenery for today’s adventure. After an early pick up from the hotel in El Calafate, we are driven towards Luz Divina, a rural inn. On the way the guide tells us about this faraway place and the river we are about to navigate. Glaciers, flora and fauna complete a very interesting informative talk. Once at Luz Divina, we get familiar with the kayak equipment and pay attention to the technical brief to know the paddling basics. 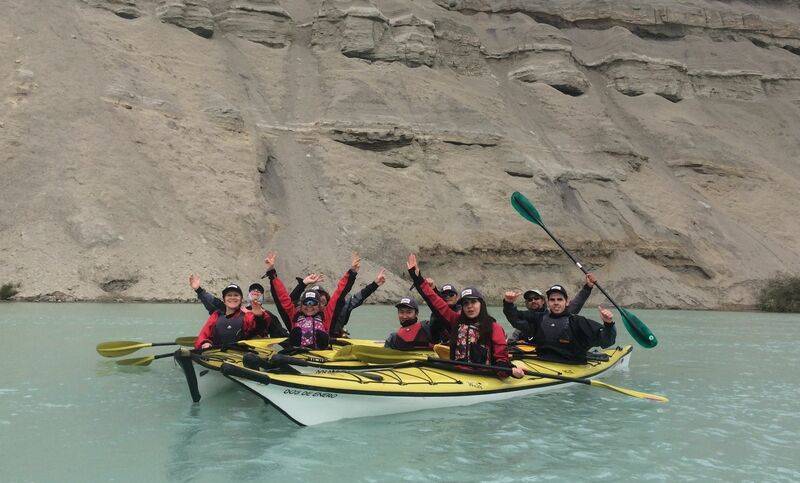 Even if you don’t have any previous experience kayaking, this activity can be easily done by anyone! All equipped and instructed, we finally go down to La Leona River. 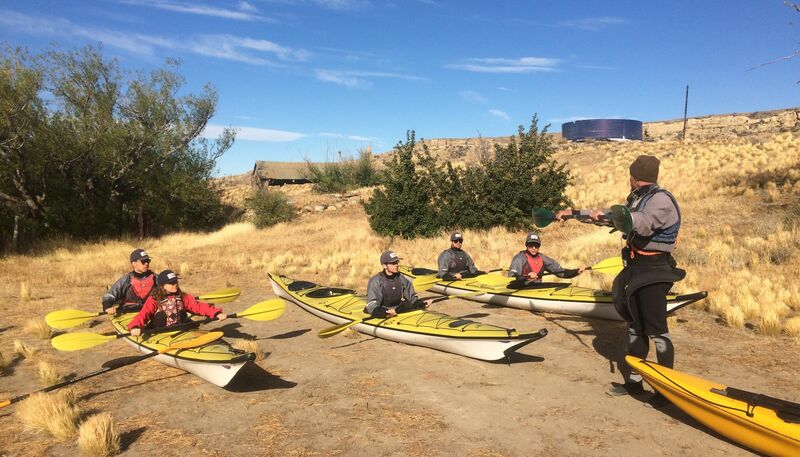 The first paddling stretch takes about an hour and a half. 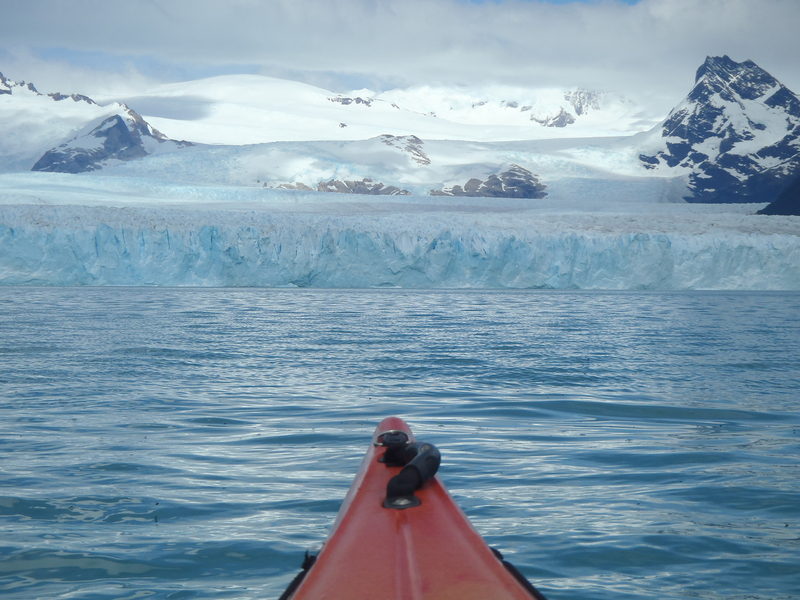 Until we get used to this activity, which for some is the first time ever to get into a kayak, it’s impossible not to be captivated by this outstanding landscape of natural beauty and geological history; to take in this vast environment where the sound of silence is so overwhelming. An untouched scenery that many years ago astonished explorers such as Darwin or Moreno with the contrast of the ocher steppe and the turquoise glacial waters. 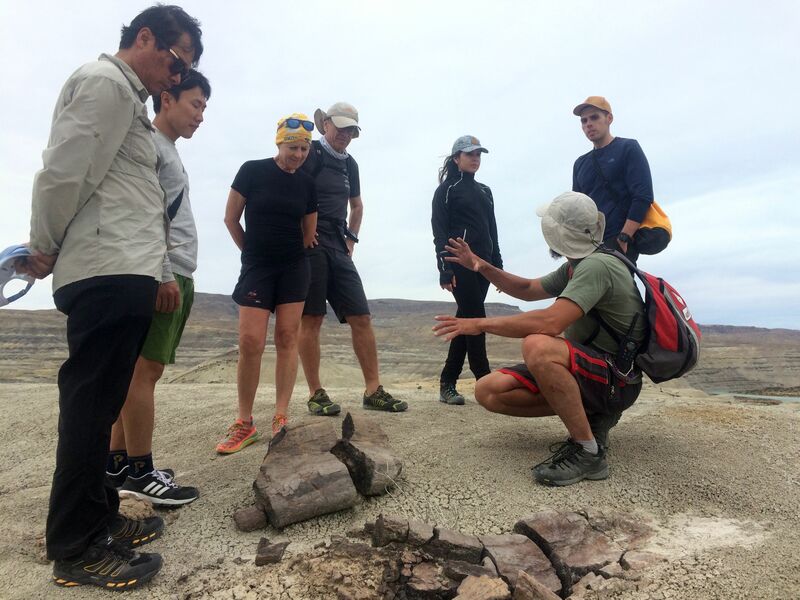 The next stop is at Los Hornos Mount, one of the oldest formations in the world. At this mount we take a 2 hs hike discovering the beginnings of Patagonian geography. 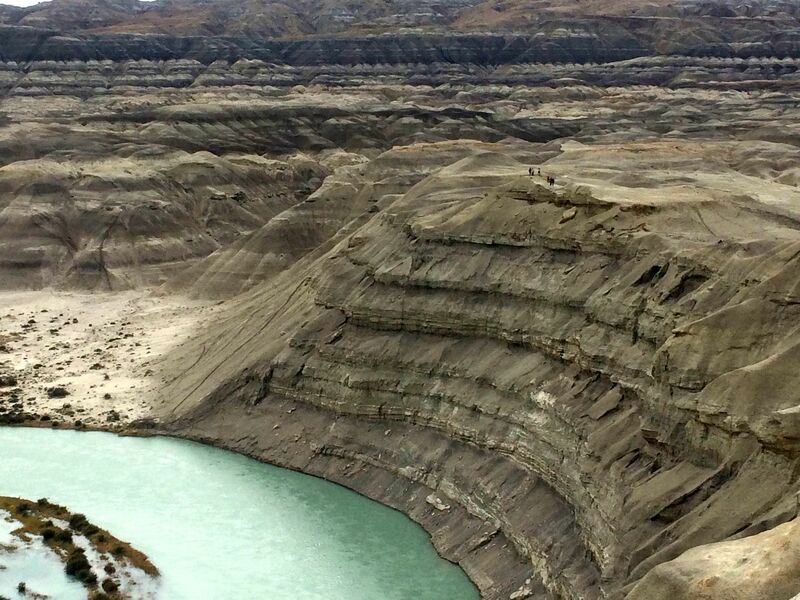 Petrified trees and dinosaur fossils are witnesses of ancient times where the Earth’s conditions and weather were very different than nowadays. At this place we will also have a brief lunch (not included) and a hot tea to regain energies for the next paddling stretch. Back again on our kayaks, after 45 minutes more navigating through La Leona, we reach the final stop of the adventure at Arroyo Turbio. We are welcomed at Estancia La Irene and after settling in and putting away the kayak gear, the team bids farewell with a delicious cold beer before returning to El Calafate. Daily departures. Full day excursion. Operates from October to April. Requires Min. 1 pax – Max. 8 pax. Min. age required is 12 years old. Very active excursion. Implies moderate physical effort. No previous trekking or kayaking experience needed. Pax should wear trekking shoes, comfortable clothes for paddling (thermal t-shirt, polar jacket or sweater, etc. ), thermal or lycra leggins, additional underwear (in case it gets wet while kayaking), sunglasses and sunscreen, backpack or bag to keep personal items in the vehicle. Calafate Hotels pick up (starts at 7:30 am) & drop off (4:30 pm). Can be arranged to and from airport depending on flight schedule. Safety briefing & Technical equipment: neoprene suit and boots, semi-dry jacket, cockpit cover, helmet, mittens, life jacket, waterproof bag. Snack (hot drinks, cookies or brownies, nuts). Insurance pack for tourism activities. 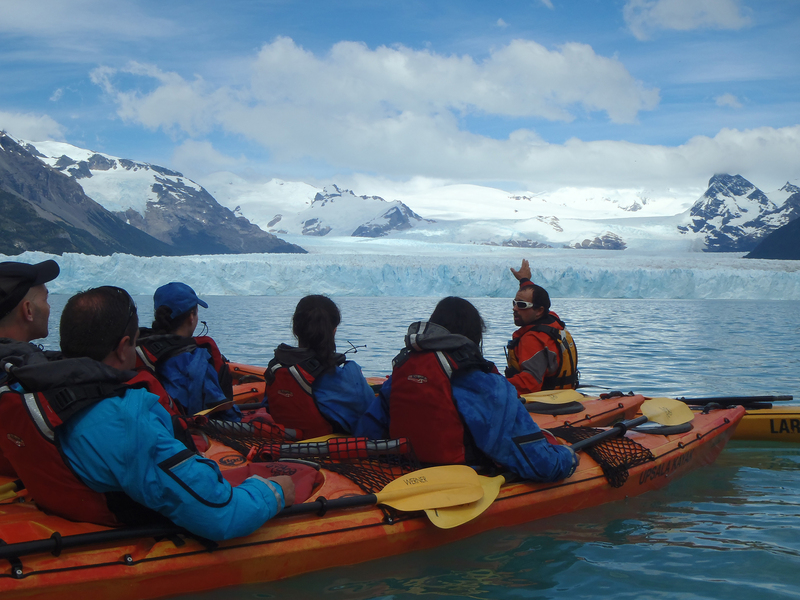 A new exclusive and shorter adventure that takes the most out of the Los Glaciares National Park in El Calafate. 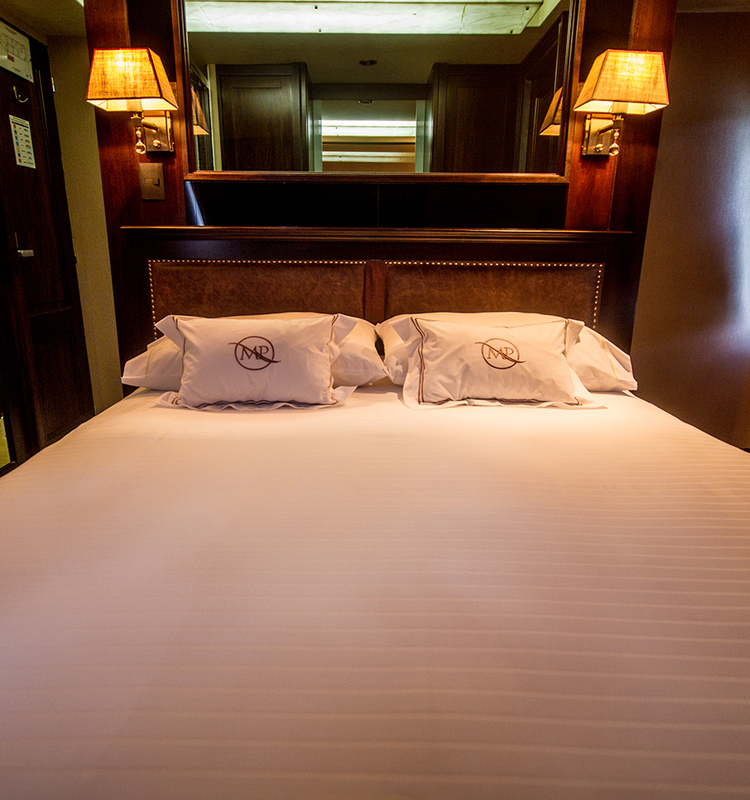 Navigate on a luxurious vessel, taste gourmet meals and spend the night on board at this magical natural environment. Much has been said and written about the imposing glaciers in the south of Argentina, specially about the world famous Perito Moreno. But there are no words that can describe the unique feeling you get if you ever have the chance to visit this absolutely gorgeous natural place. The vastness of these deep blue ice giants, cold turquoise waters, a lush green forest, the occasional chilled wind, starry nights and the sound of silence…a spectacle of nature that leaves you breathless and a memory that will be a part of you forever. 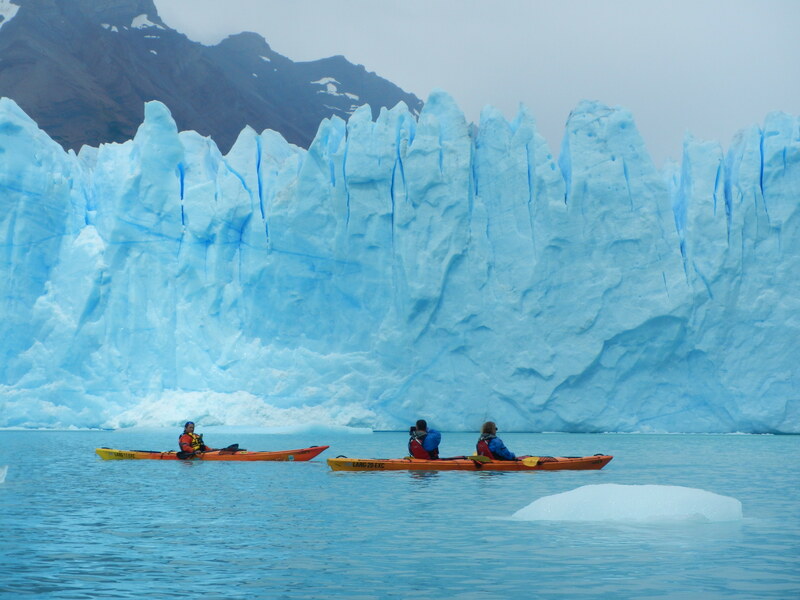 Los Glaciares National Park can be considered as a wild sanctuary where visitors are lucky to pass by, if only for a day. 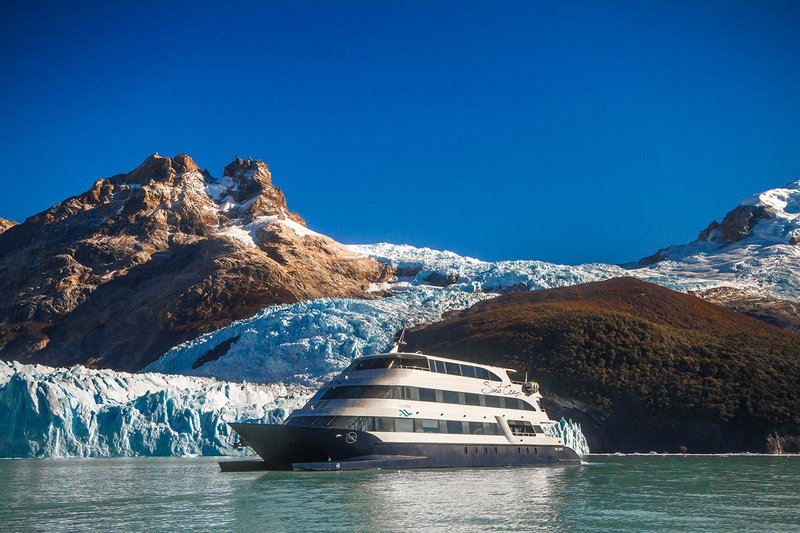 For those who wish to experiment this icy encounter in a more intimate and exclusive way, The Spirit of the Glaciers is the perfect expedition. An that used to offer a 2 night program but that now has incorporated a 1 night option, if the passing through El Calafate is a bit shorter. 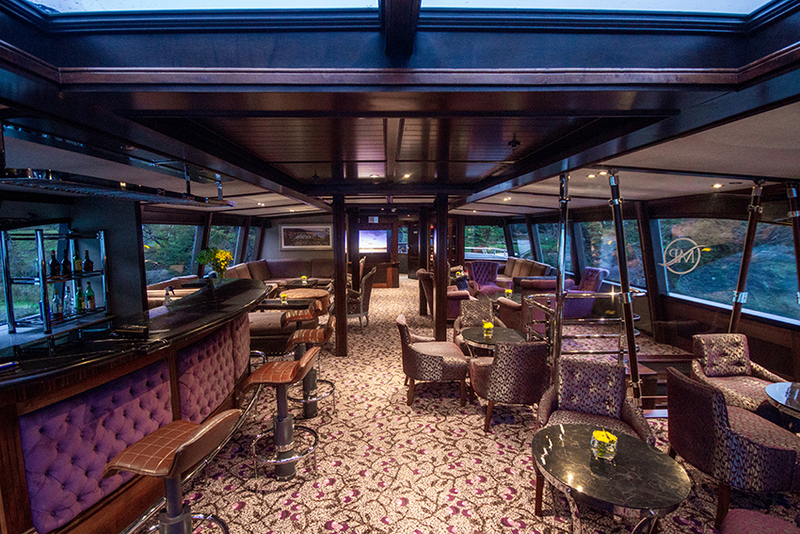 Sail and rest on board the elegant Santa Cruz, a three deck vessel specially designed for this activity including high end and comfortable commodities and a gourmet cuisine restaurant. The new 1 night program begins at 9 am embarking at La Soledad, a private deck in Bahía Tranquila. 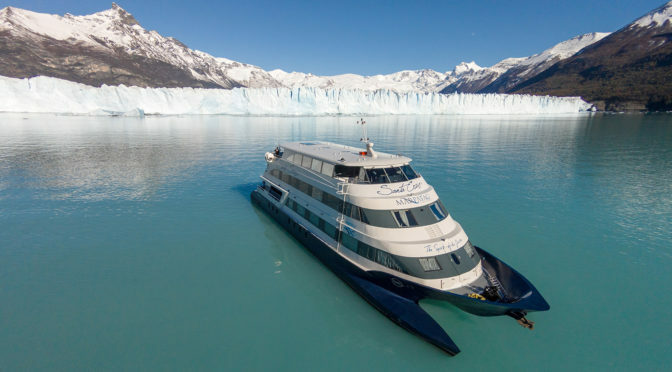 After checking in, the navigation towards the Perito Moreno Glacier begins sailing pleasantly through the Canal de los Témpanos until the northern front. At around 10.30 am we will disembark to walk on the balconies and contemplate this impressive ice wall. 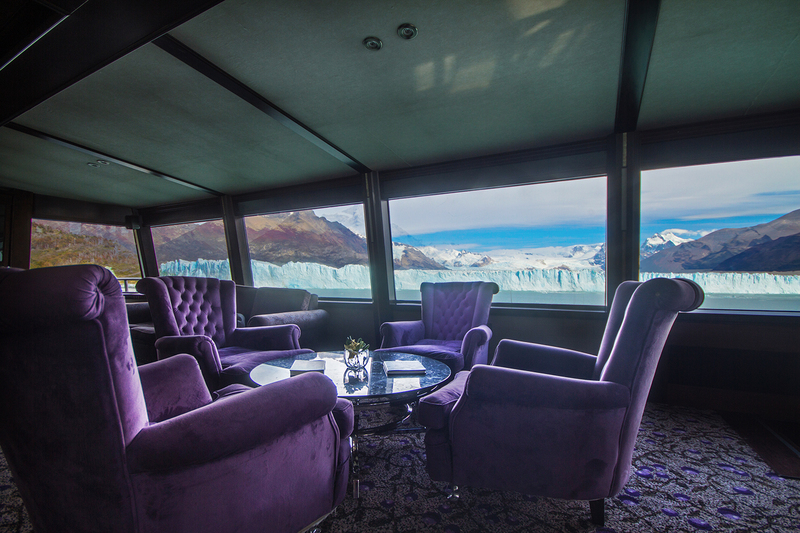 Lunch is back on board in the restaurant and still enjoying the view of the glacier from the wide windows. In the afternoon the navigation continues first to the Upsala Glacier, through the Brazo Norte and then towards the historical Puesto de Las Vacas in Bahía Alemana, where we will disembark again for an easy hike to an old port. At this spot we will also taste our first dinner and spend the night on board. Be ready to be dazzled by a sunset that provides a show of contrasting colours against the blue waters and ice floes; and then by a deep dark night sky that reflects the milky way on the Argentino Lake. The next morning, after an ensured rest and a tasty gourmet breakfast, another relaxed hike in Puesto de Las Vacas awaits. We will be back on board at around 11.30 am to keep on sailing towards Canal Spegazzini, where lunch will be served facing the Upsala Glacier and where we will also watch icebergs. The expedition will come to an end sailing back gently to Bahía Tranquila in the afternoon, contemplating this unique natural scenario and wonder of nature until the very last minute. To take part on The Spirit of the Glaciers between September and December 2017 (except during holidays), ask your Kallpa Account Executive for a special promotion for early bookings before July 31st, available for 1 or 2 nights program. Feasible from September 2017 to April 2018. Departures are always from La Soledad private deck in bahía Tranquila (Paraje Punta Bandera). 1 Night Program will depart on Wednesdays and return on Thursdays at 4 pm. One night on board in a cabin with private room and external view. Full board service with alcoholic beverages at meals. Service of soft beverages and infusions during navigation. 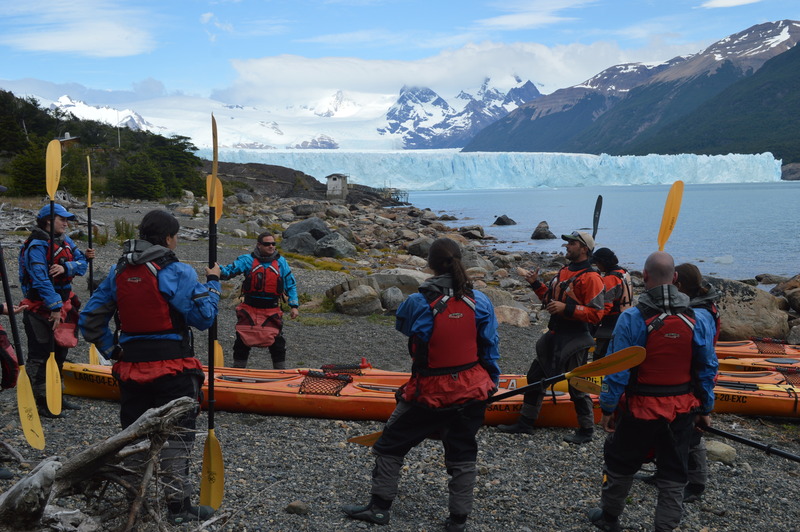 On board activities conducted by a bilingual guide (English/Spanish). Transfers from and to Hotel in El Calafate.